We all have images - stereotypical images, perhaps - of countries lodged in our brains, and it’s not easy getting past them (especially if they’re appealing). 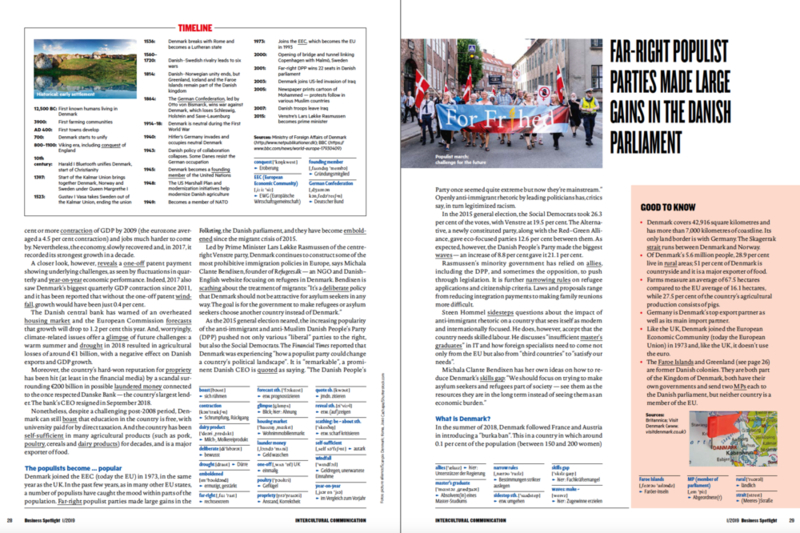 In recent years, however, my (yes, ok, stereotypical) image of Denmark as a friendly, open and tolerant northern European nation that loves little better than riding bikes, eating pastries and … erm … fish(?) has to a degree been shaken. Not just because of edge-of-your-seat Nordic TV series, but because of the rise of populism in Denmark and the move to the right of even social democrats. 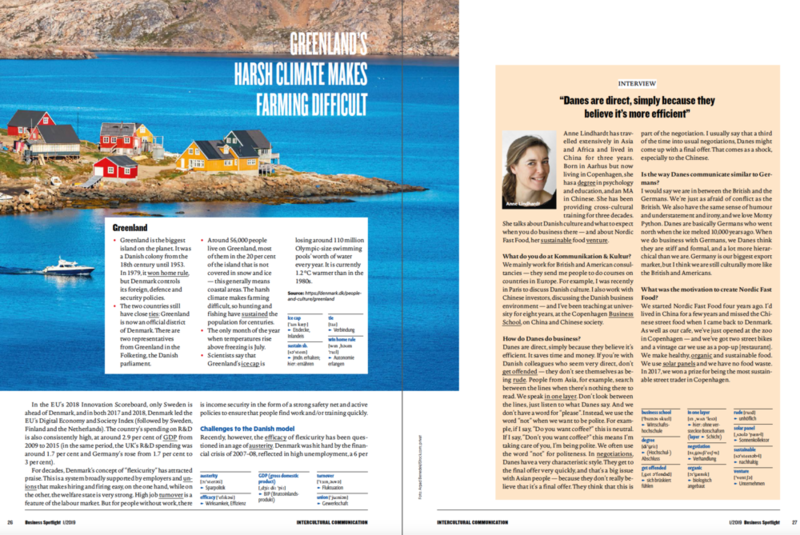 Via research and interviews I did Danish with experts for my latest Business Spotlight article, I provided myself with a - hopefully - clearer picture of contemporary Denmark and Danes. As ever with these articles, there was much to delight; and much to worry. 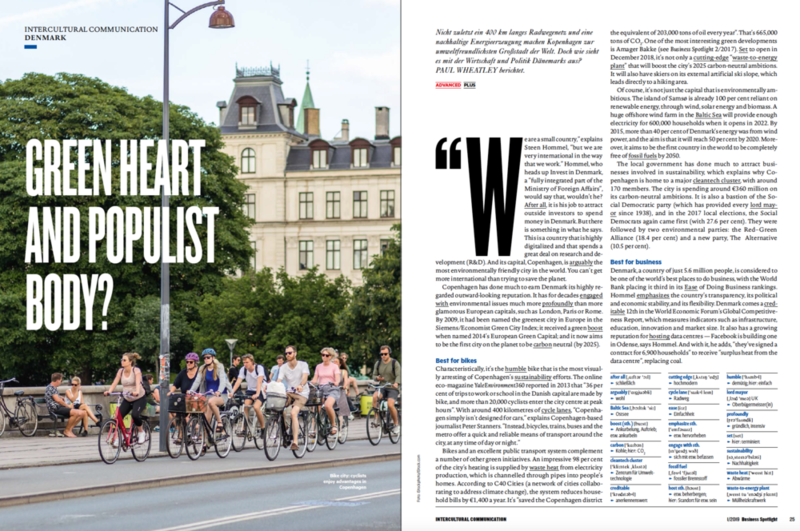 With Brexit, Tump and populism dominating so much of the news agenda, let’s for today, however, focus on the positive – and the fact that Copenhagen (still a bastion of tolerance, it seems) seems bent on becoming something of a model eco-conscious city, with its 20,000 daily cyclists around its 400 kilometres of cycle lanes highlighting that there is more to getting people on bikes than perfect weather. And the sustainability measures that the city has put in - and is putting in - are mightily impressive. It aims to be carbon neutral by 2025, ahead of most other cities in the world - ahead of Munich, for example, whose sustainability credentials I’m also currently researching for a different publication (more on this in a week or two). For what it’s worth, while Munich does really well in terms of sustainability for a city of more than a million people, it could nevertheless still learn a thing or two from the much smaller Copenhagen.